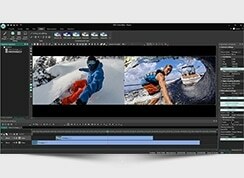 Flash-Integro announces a new version of its acclaimed VSDC Free Video Editor 3.3.0. The update presents a lot of graphical and audio improvements for professionally looking special effects and video rendering. Several GUI improvements make the app even simpler than before, while the support for Italian and Japanese languages reflects the growth of popularity of the tool in these countries. Video editing at home used to sound like a joke just a few years ago. Now, as CPUs have become faster and more memory is available, redacting videos or creating new clips is much more common among home users. 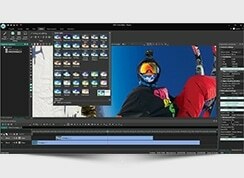 And there is software for effortless video editing too. 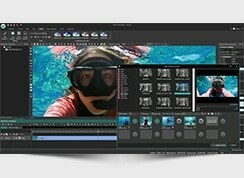 One of such tools is the VSDC Free Video Editor – a critically acclaimed application developed by Flash-Integro. 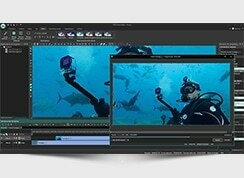 One of the hallmarks of this tool is its non-linear approach to video editing. With non-linear editing, a user isn’t limited with fixed objects, paths, or ways to provide interaction between them. In fact, the app allows for placing, manipulating, and adjusting the parameters of objects in 100% arbitrary ways. The new version of VSDC Free Video Editor recently released by Flash-Integro drives the simplicity and efficiency of non-linear video editing even further. The number of novelties in the new version is overwhelming. 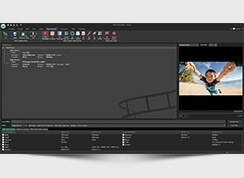 First of all, VSDC Free Video Editor now introduces revamped video editing functions including better work with sprite objects and FX applied to them, more functional menus, and quick switching between object parameters for instant changes in the behavior and look of objects plus an extra handy view of the related parameters. Then, the FX part of the program introduces a bunch of brand new and improved special effects: Threshold, Reducing bits, a group of TV effects like noisy or aged video and several more. As for sounds, now VSDC Free Video Editor allows for normalizing the volume of an audio track and splitting the video and audio parts of a project. As always, VSDC Free Video Editor features a great number of user interface improvements. Also, in this version, two more languages were added: Italian and Japanese. 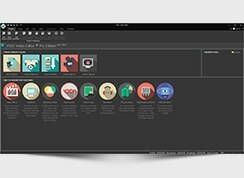 Overall, the update brings in more than just a few more graphical add-ons; it is rather about the enhanced quality of user videos and more intuitive and straightforward editing functions.